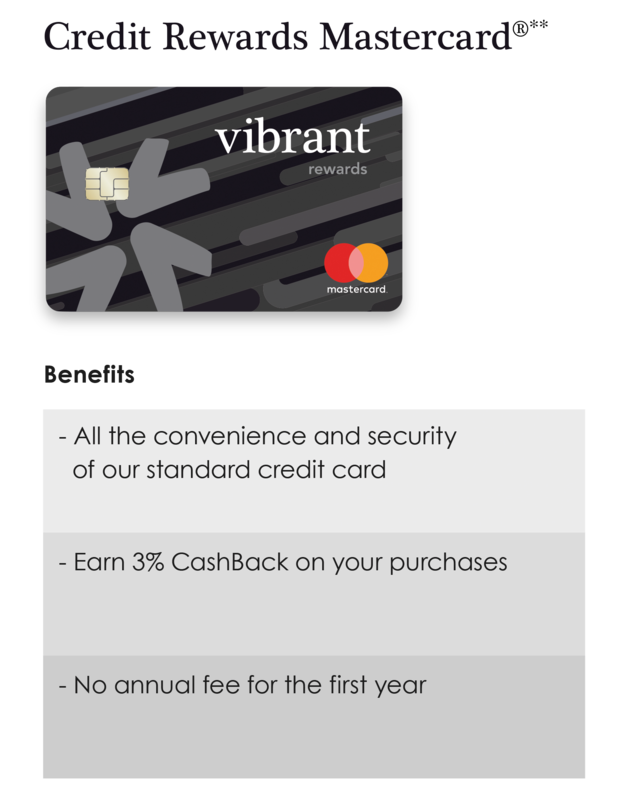 **3% CashBack on purchases for the six-month introductory period. 1.5% CashBack after that. No annual fee for the first year. $50 after that. 18.00%-23.99% APR. APR=Annual Percentage Yield. Mastercard is a registered trademark, and the circles design a trademark of Mastercard International Incorporated. We’re a credit union that wants the best for you, which is more than just your money. Vibrant is banking reimagined. © 2015 Vibrant Credit Union. All Rights reserved.